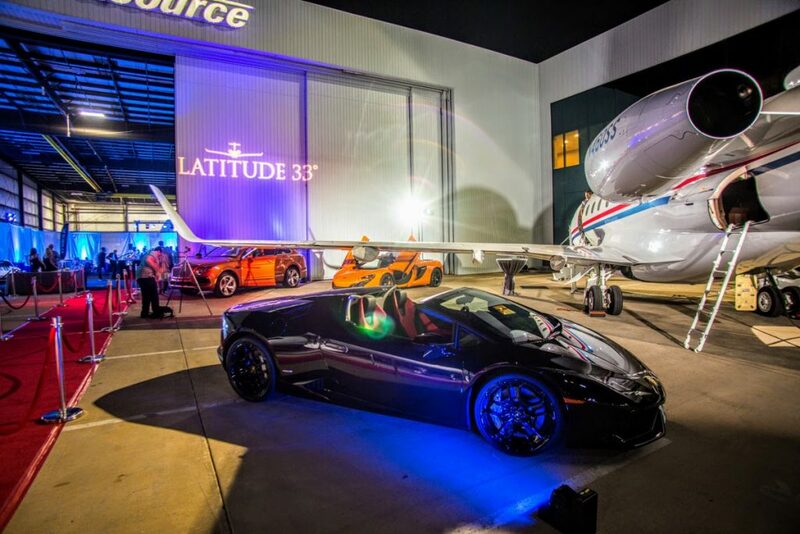 April 26, 2017 – 2016 marked the beginning of Latitude 33 Aviation’s 10-year anniversary. 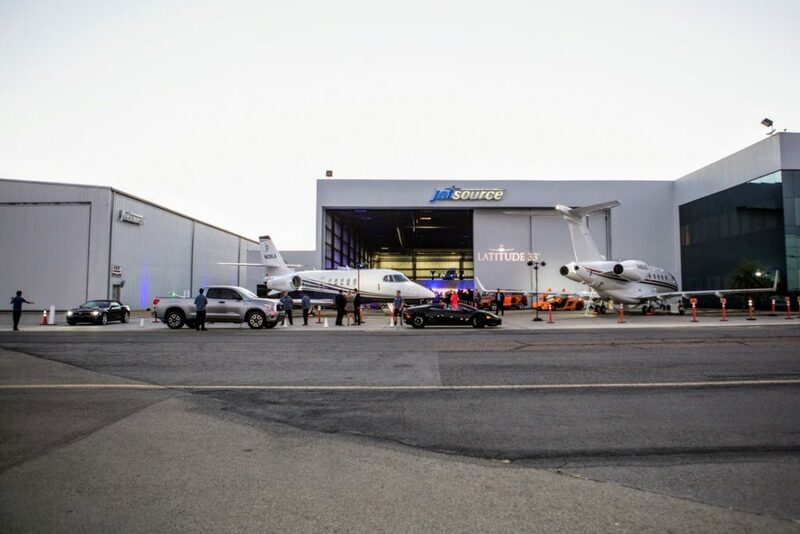 We are proud to celebrate this special time with our clients, aircraft owners, partners, and employees who have made this possible. 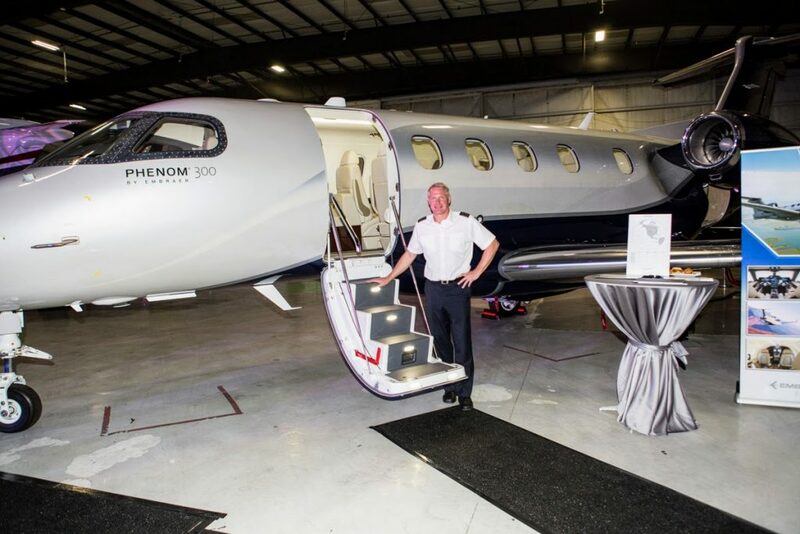 Like most companies, our private jet charter, business jet management, and aircraft sales/acquisitions company has an interesting story regarding its journey. 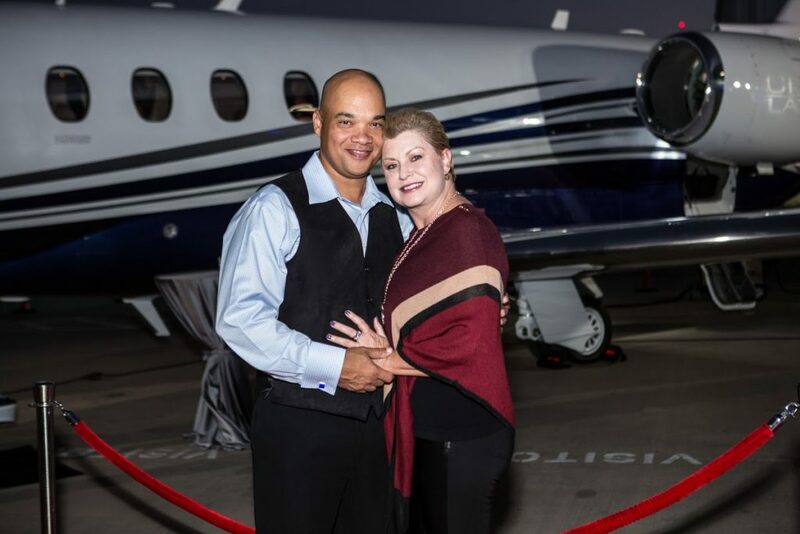 Owner-pilots Casey Miller and Solomon Short met by chance on the tarmac at a Phoenix airport in 2008. 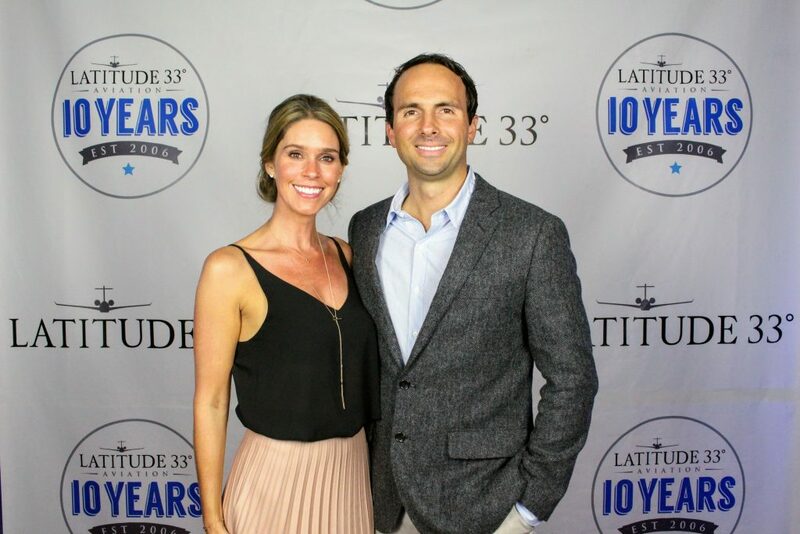 Casey had been running Latitude 33 on his own since 2006, however, the company was growing so fast he needed help and formed a 50:50 partnership with Solomon in 2011. 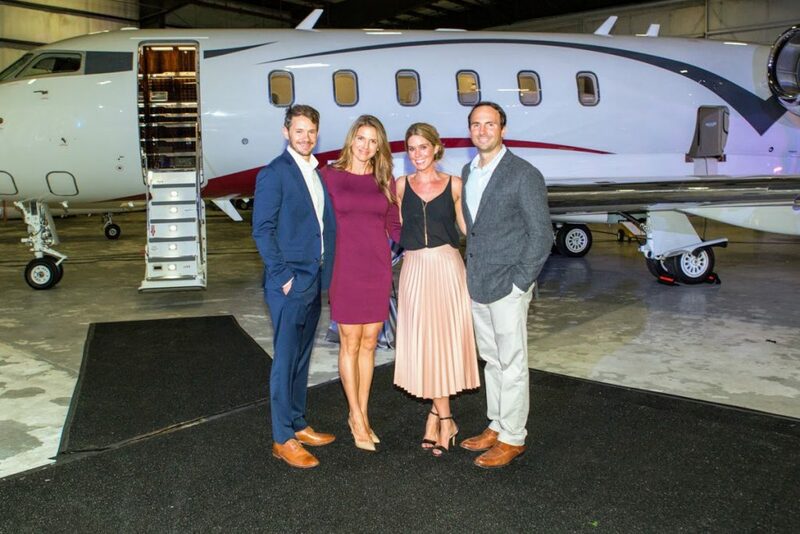 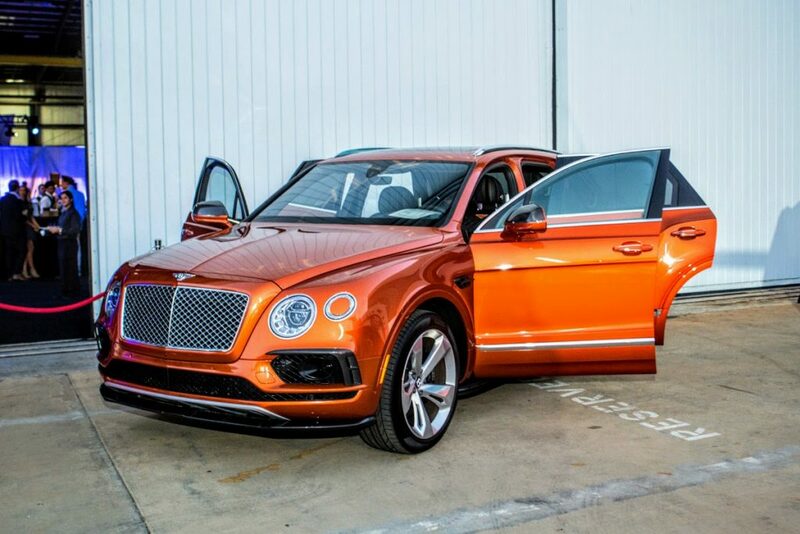 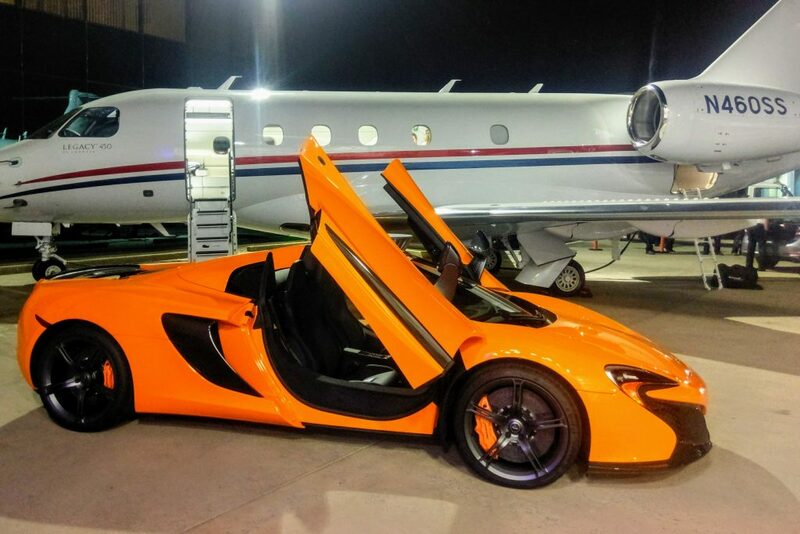 Within one month, the two pilots landed their first client together. 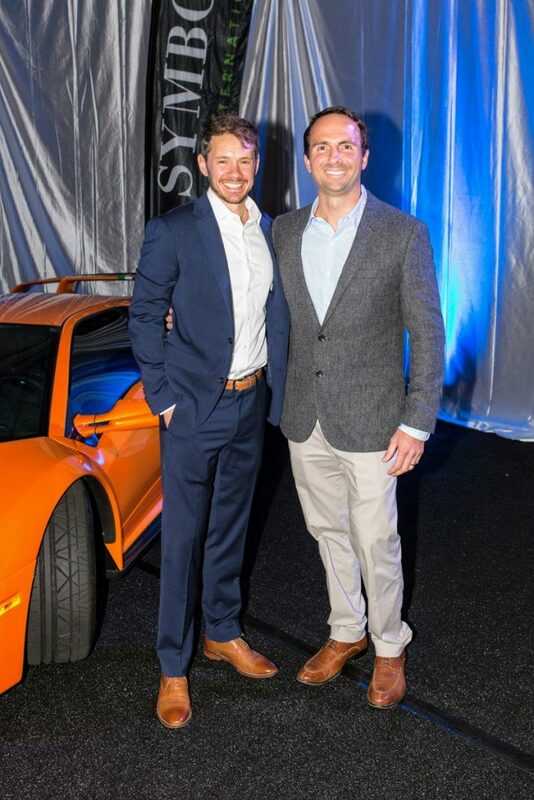 “After that, it was one client after the other. 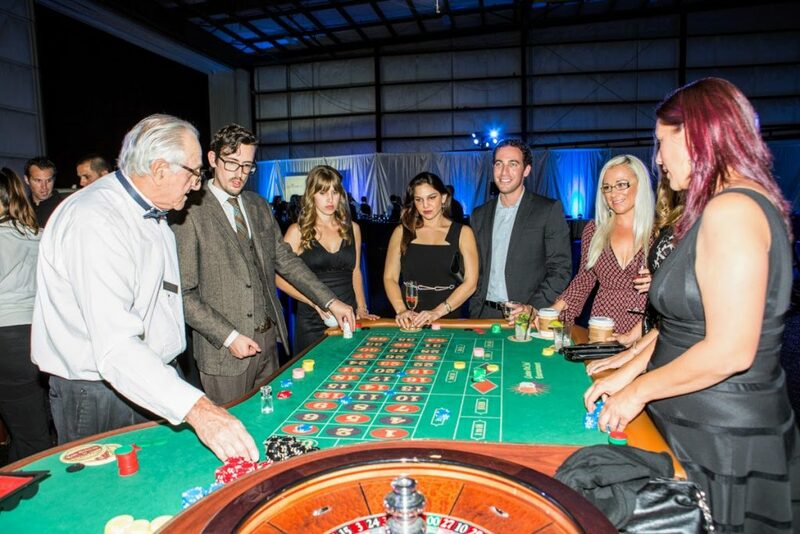 With no employees, we were doing everything. 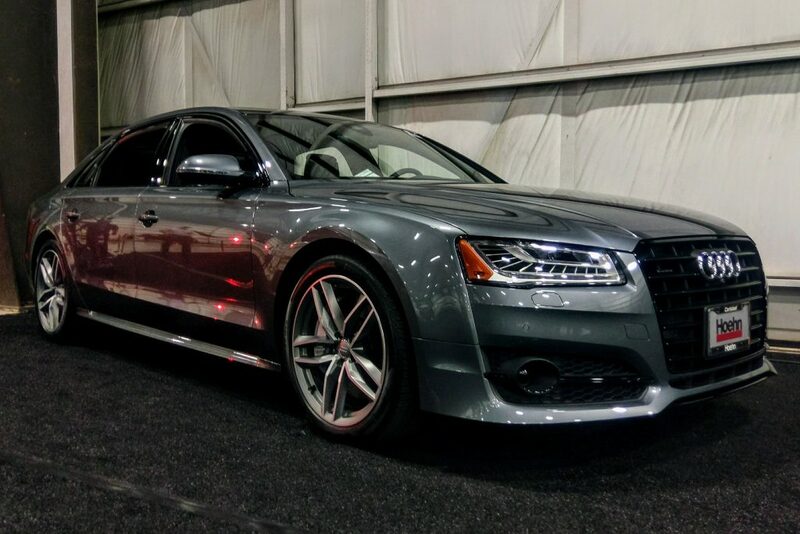 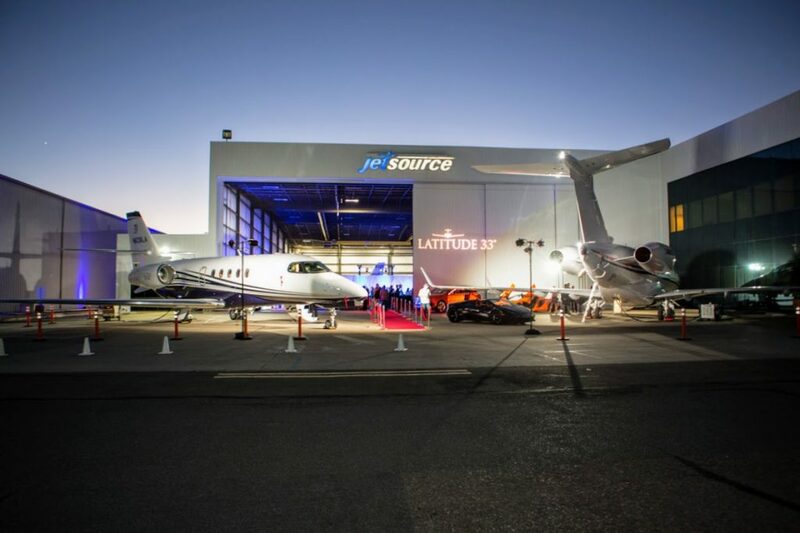 Now, nearly six years later, we’ve hired 35 employees and now manage 30 light, mid-size and super mid-size jets in 11 cities across five states,” says Solomon. 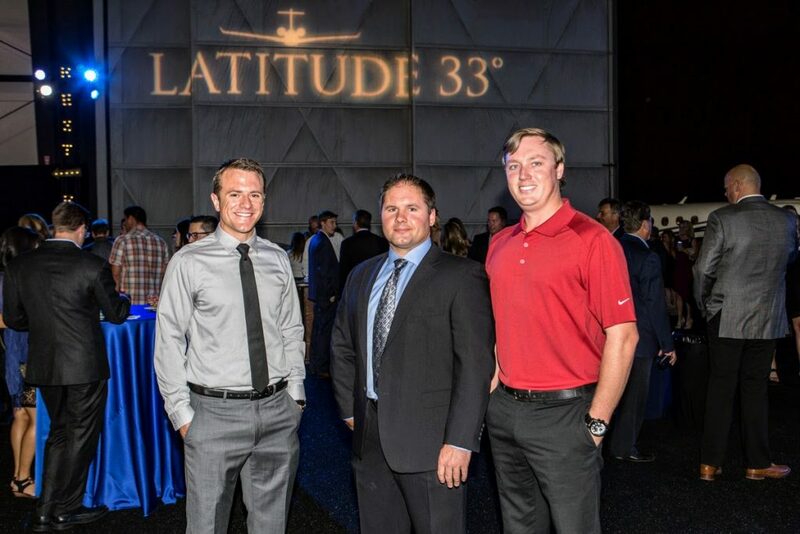 With all the hard work and effort the owners and employees have put into building the company, Latitude 33 Aviation has now grown to become the largest charter operator in San Diego, and the only jet operator in the city to have achieved the ARGUS Platinum safety rating. 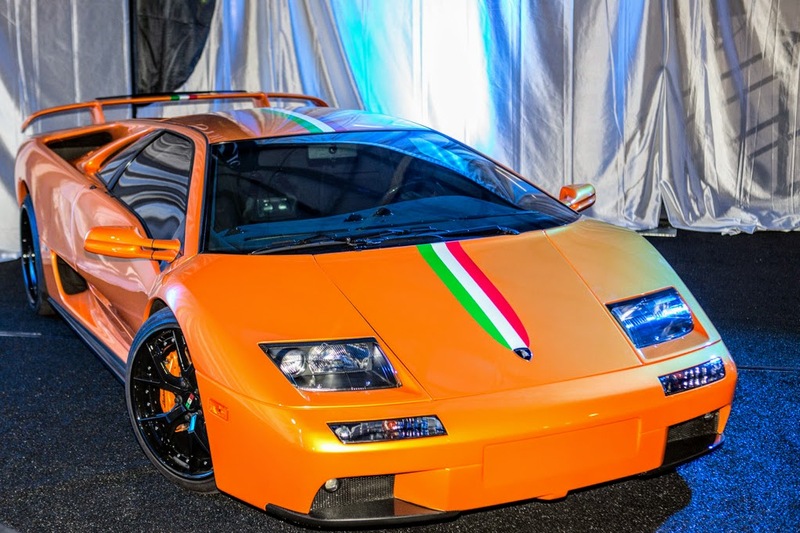 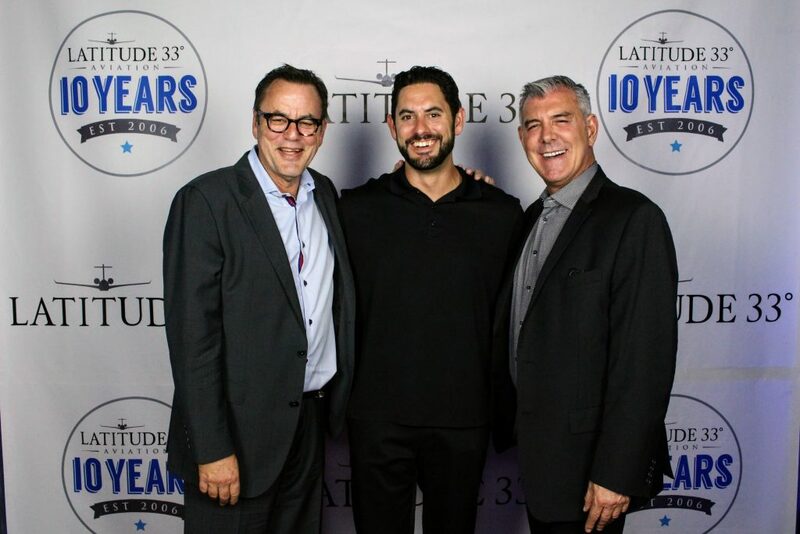 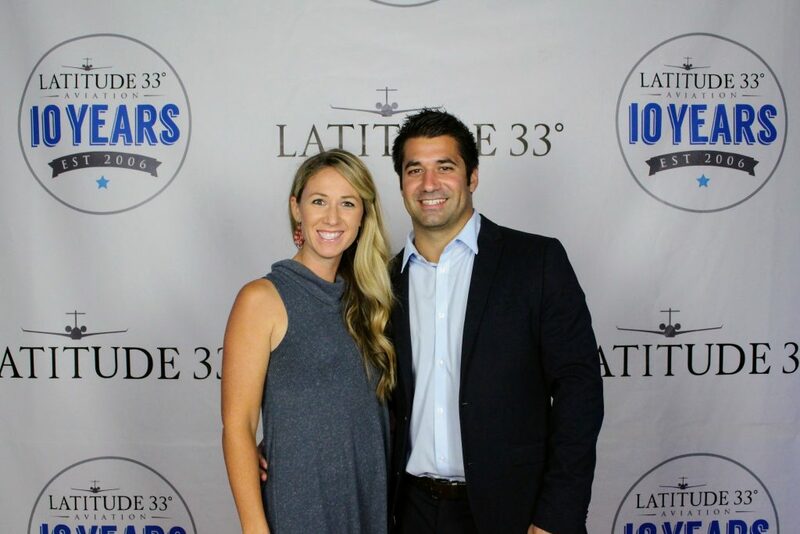 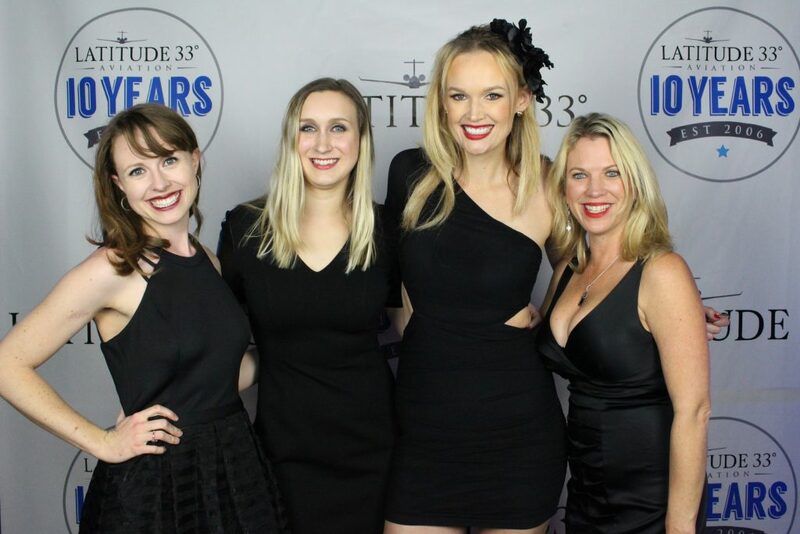 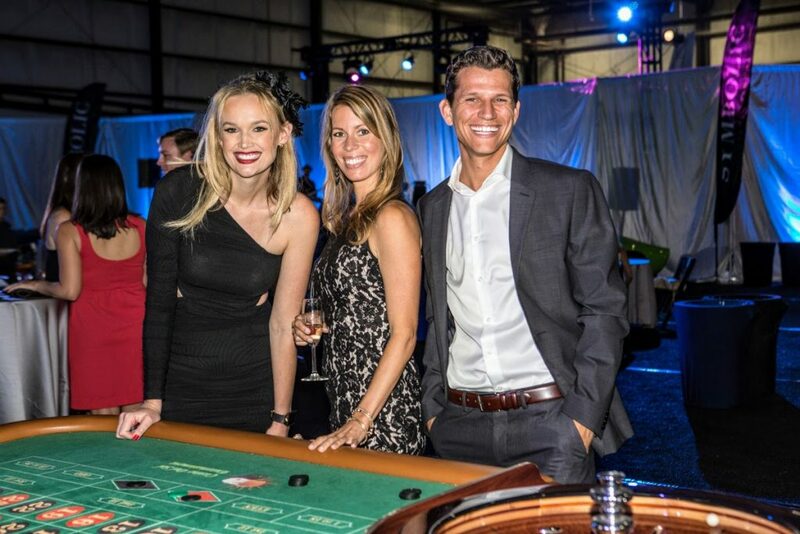 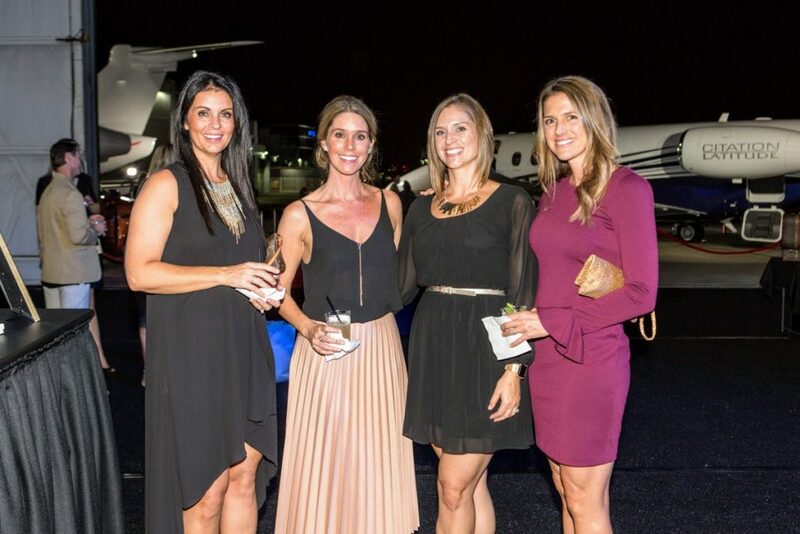 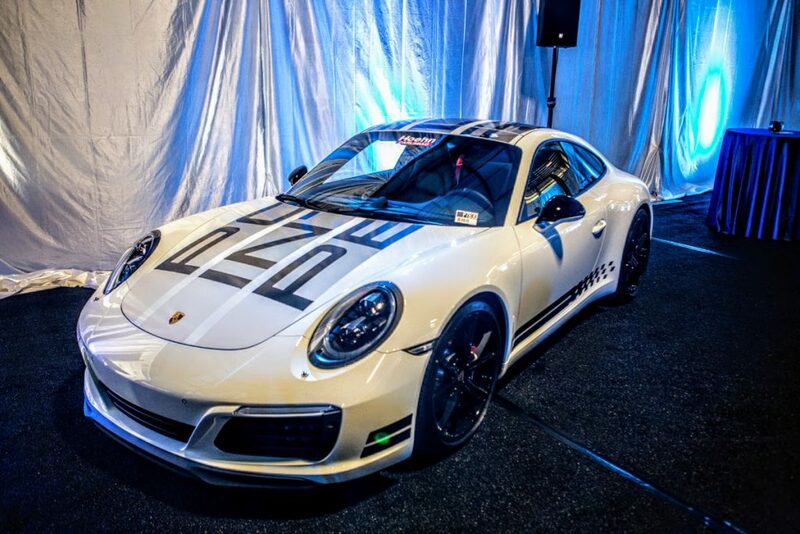 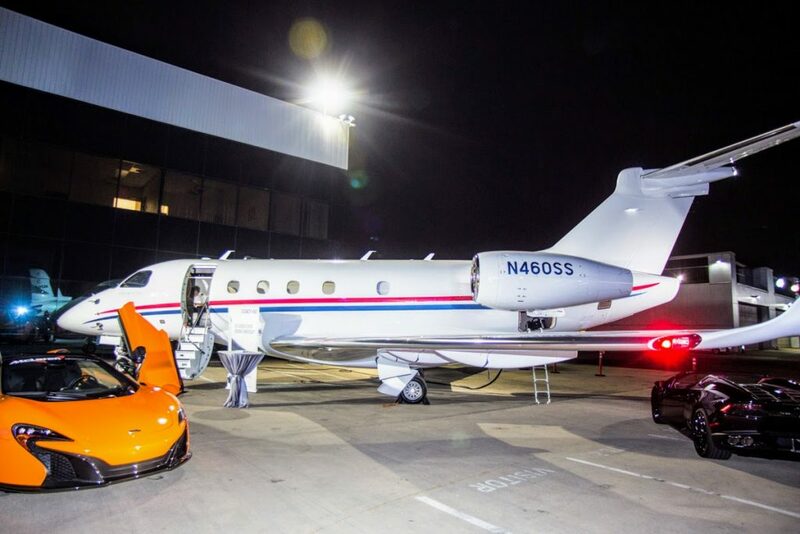 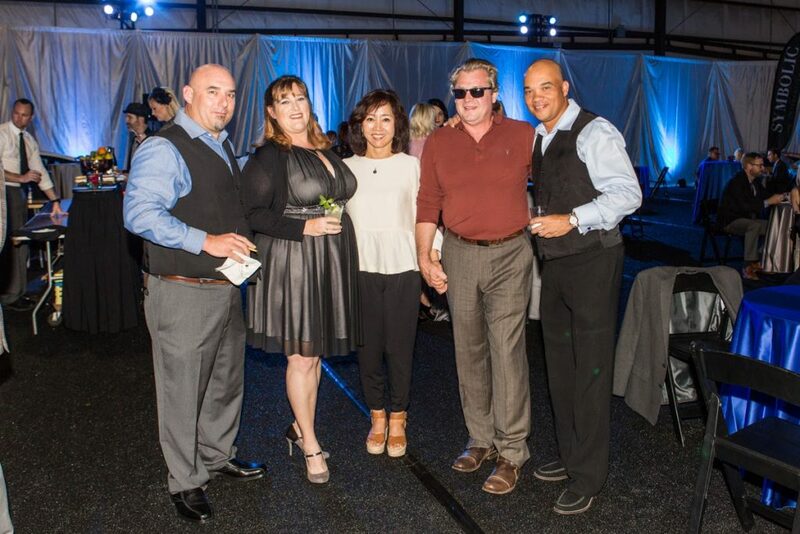 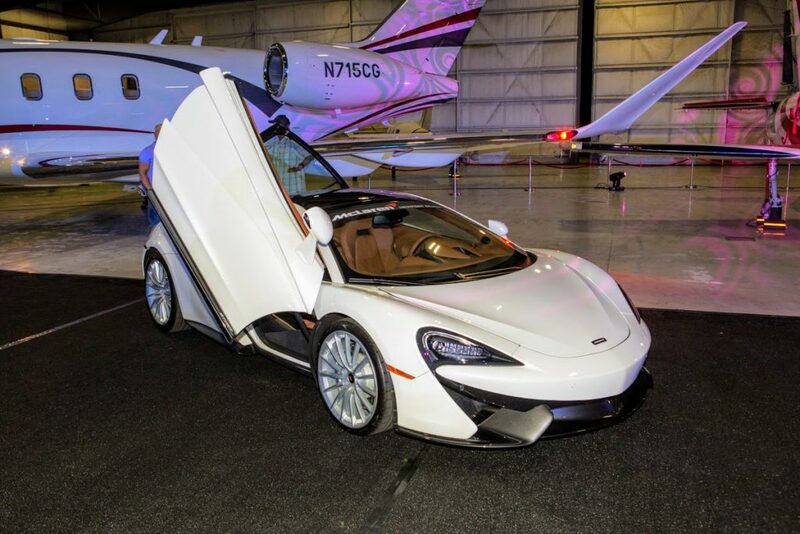 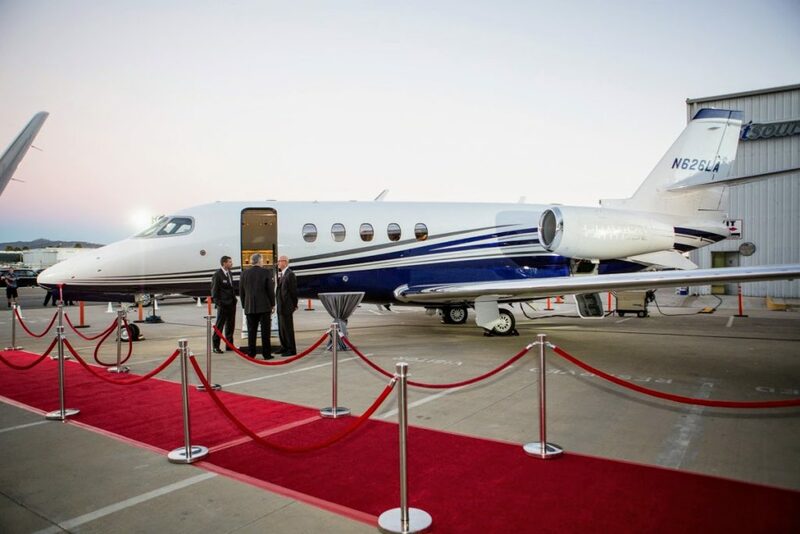 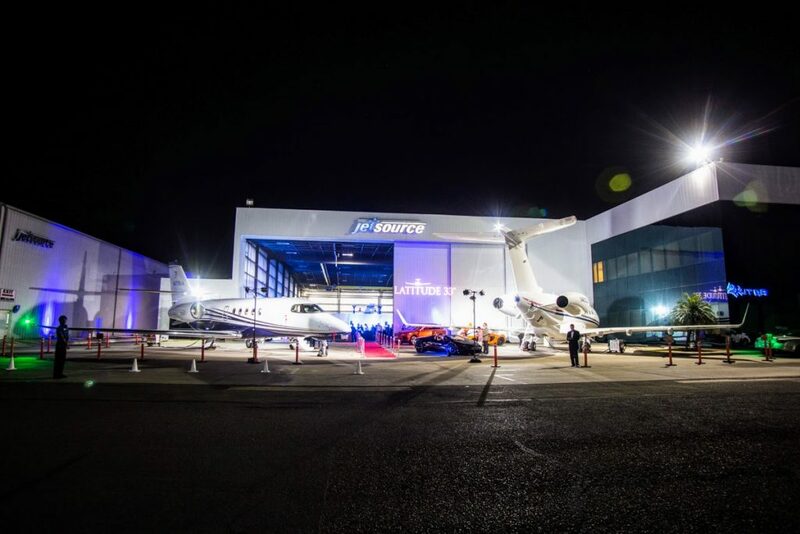 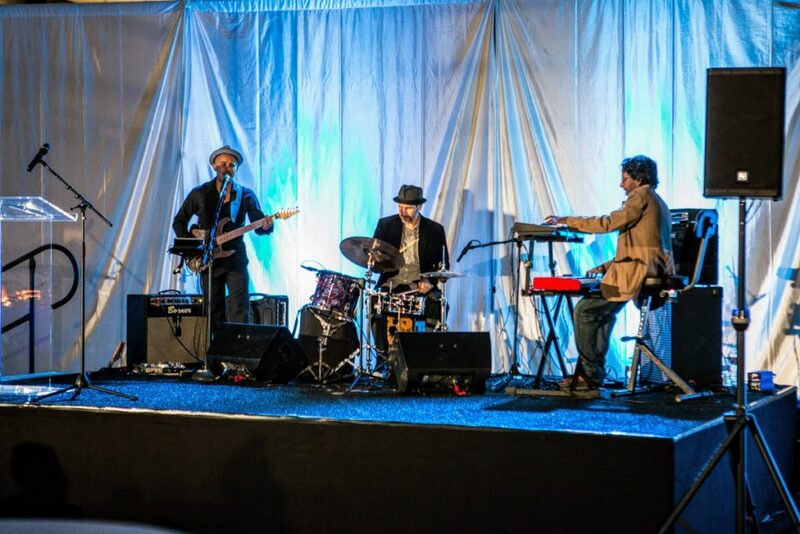 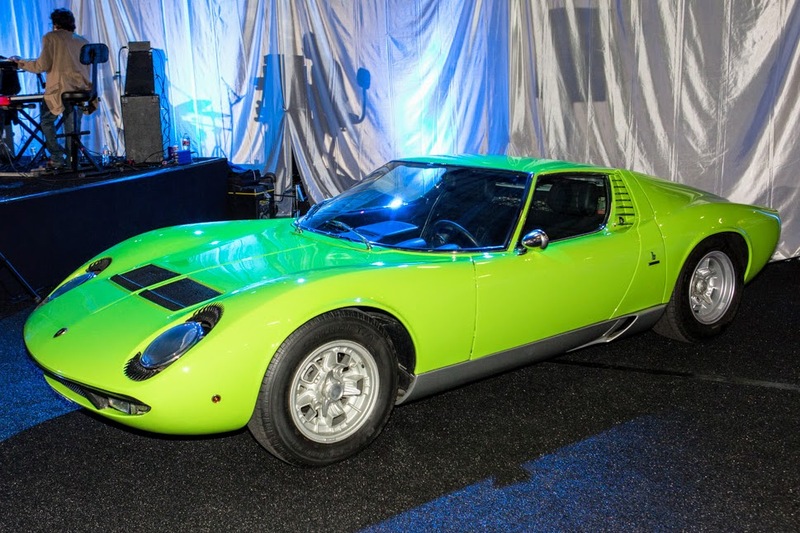 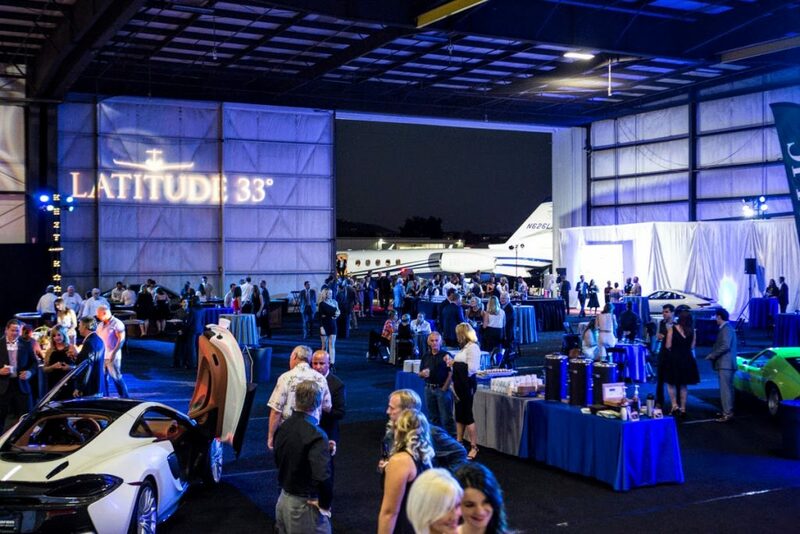 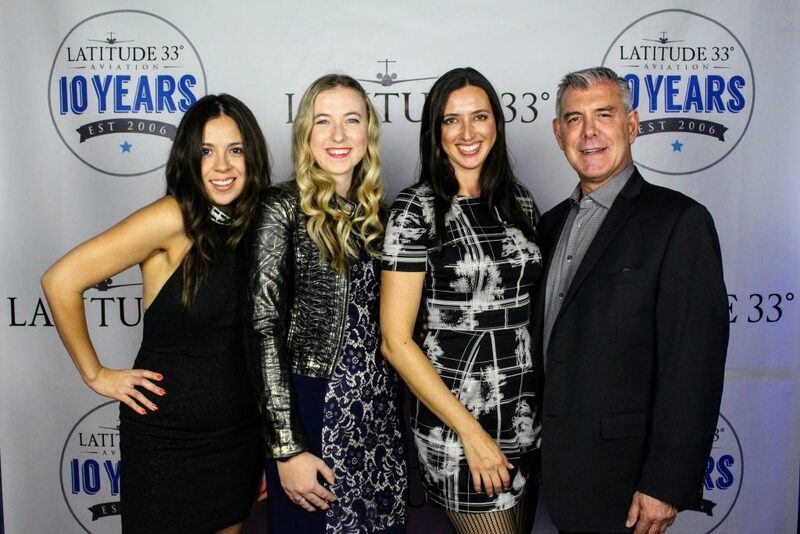 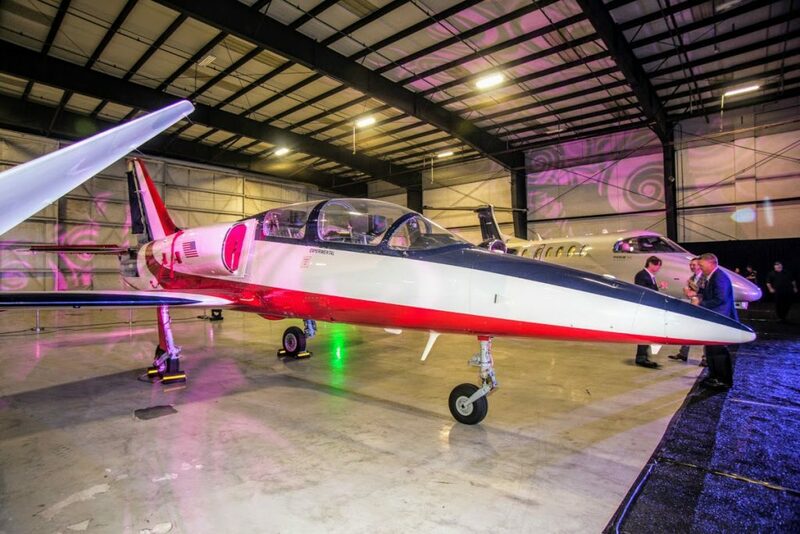 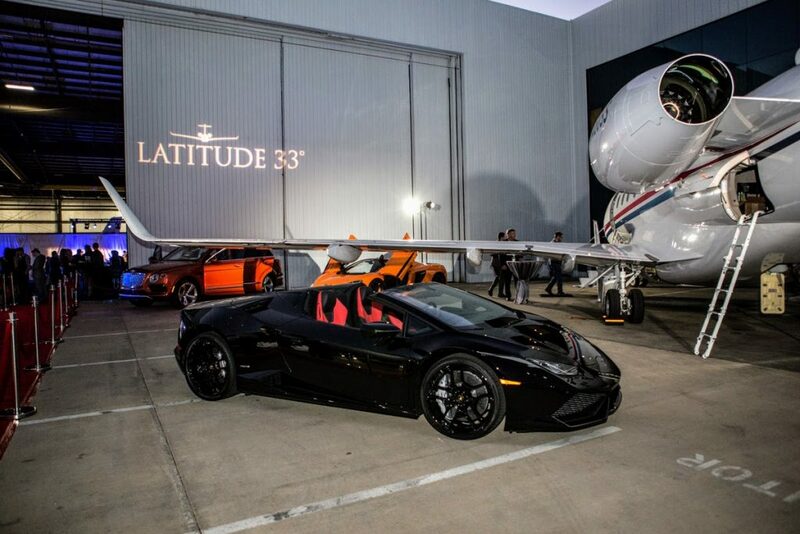 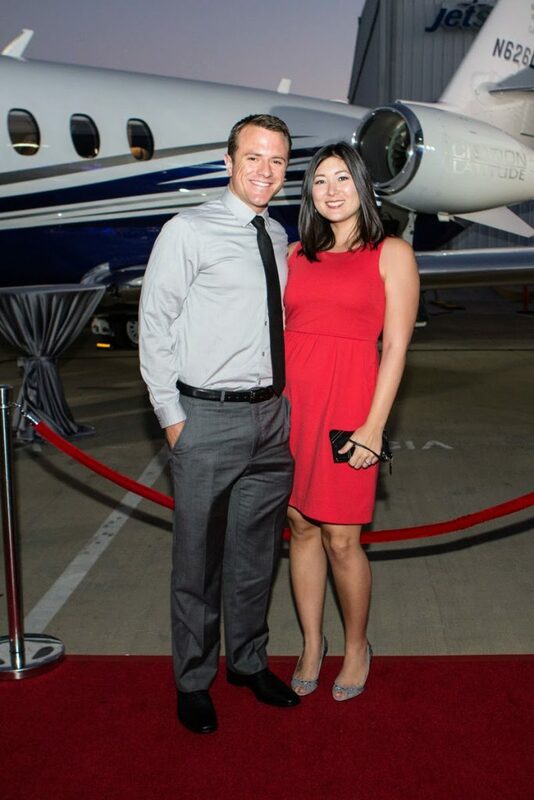 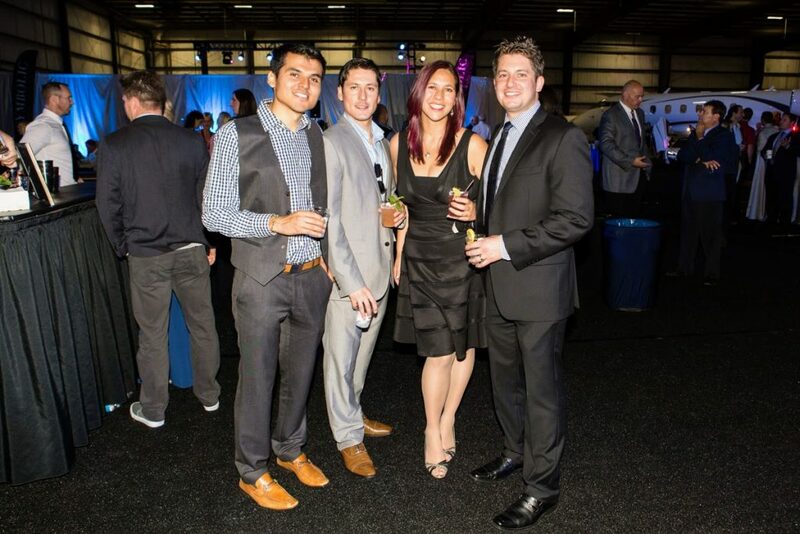 To thank all our clients, aircraft owners, partners and employees who have made our company such a success over the last decade, Latitude 33 hosted a 10th Anniversary VIP gala at its corporate headquarters at McClellan-Palomar Airport in Carlsbad, California. 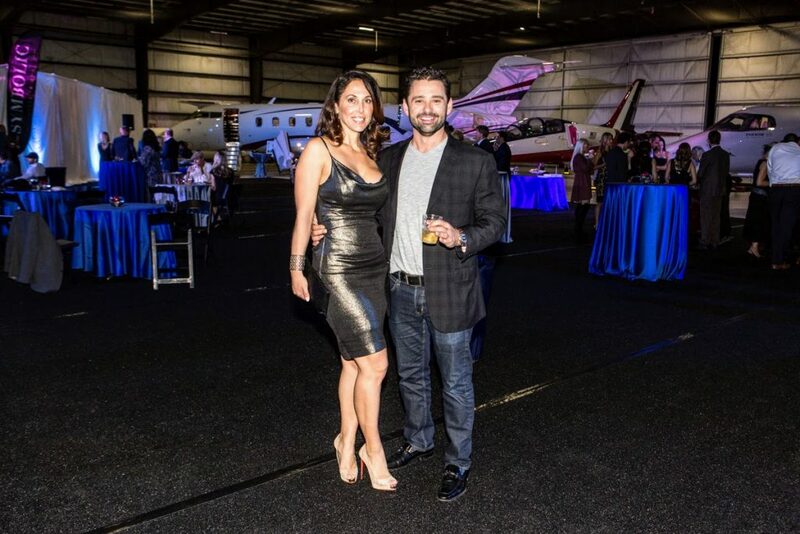 This year we have given back to the community by partnering with the Rancho Santa Fe Education Foundation, the Hanna Fenichel Center, the Grauer Foundation for Education, the Make a Wish Foundation, as well as providing support for aviation scholarships – and we’re only getting started. 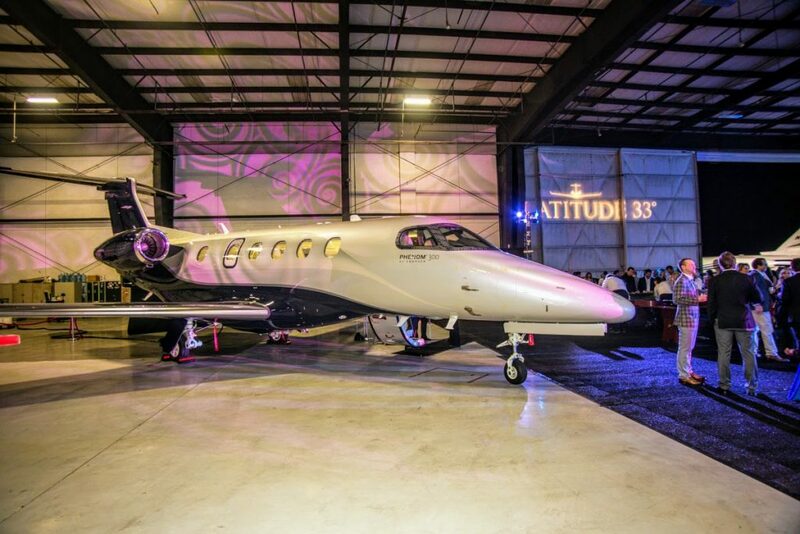 With the phenomenal start to 2017 we have already experienced – including new aircraft added to the fleet, new locations, the addition of several more team members, and the official expansion of our aircraft sales and acquisitions division – we could not be more excited for what the future holds for Latitude 33 Aviation. 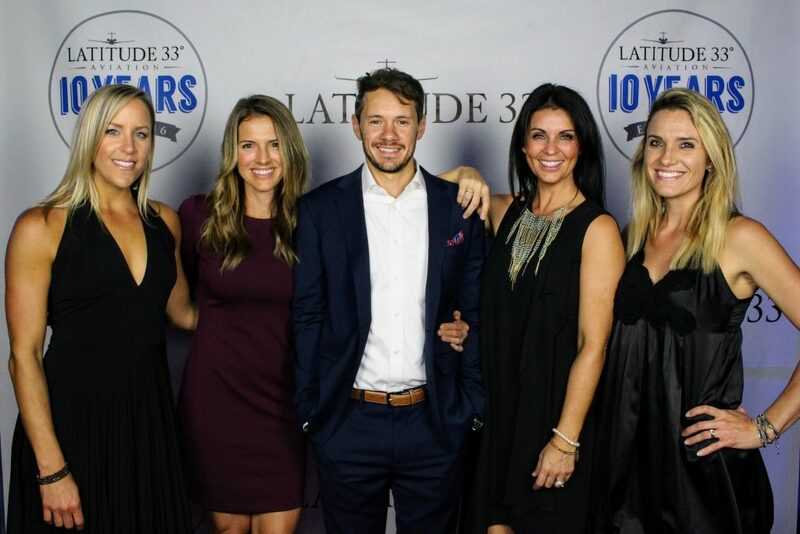 We would like to sincerely thank everyone who has supported us over the last decade. 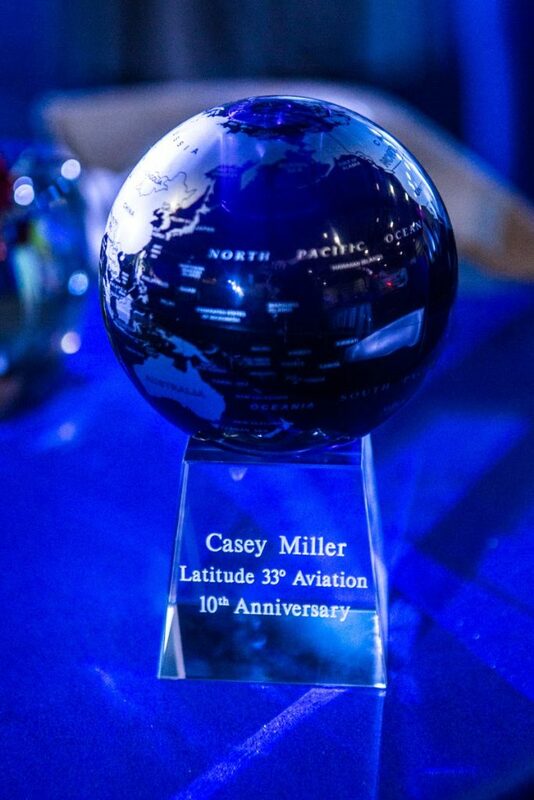 To the next 10!